Britain’s hottest early May bank holiday ever resulted in solar panels powering their largest-ever share of the UK’s energy mix. As Britons basked in Sunday’s sunshine, photovoltaic panels across the country produced more power than any other energy source. Solar installations powered as much as 28.5pc of the nation’s electricity, blazing past gas-fired power plants, which generated 24.8pc during the same period. The solar power peak occurred between 13.30 and 14.00 on Sunday afternoon, according to the National Grid, touching highs of 9.28GW. Solar power’s biggest ever contribution to the grid tops last summer’s 26.1pc record set on the first sunny Sunday in July. In absolute terms the scorching output falls short of the solar power output record set on May 26 last year, a Friday, when output hit a 9.37GW record. Despite these highs solar power made up a smaller share of the energy mix because more conventional power plants were needed to meet the weekday demand from offices and industry. 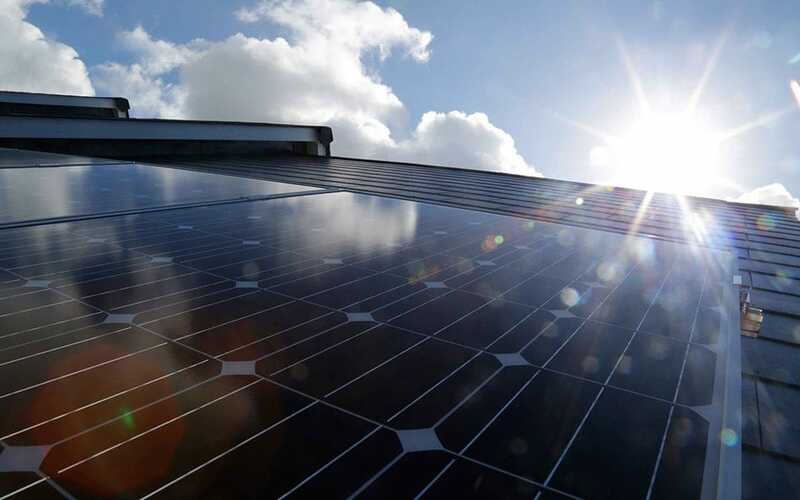 Solar was able to make its record breaking contribution over the bank holiday in part because workplaces shut and people eschewed kettles and the TV to flock to parks and beaches. The UK currently has around 13GW of solar power capacity but this is expected to rise to 18GW by 2023. The industry is working towards using more battery technology to store energy when the sun is at its peak so it can power the grid for longer periods. Across Sunday’s full 24-hour period solar power made up just 11.1pc of the electricity generated, compared to steadier output from gas-fired power, which comprised 34.6pc of power. Nuclear power made up 27.5pc of electricity. Nonetheless it is still the highest ever proportion of solar power in the energy mix over a single day. The previous record was set on July 2 at 9.5pc of Britain's electricity.